Broken Tooth Bringing You Down? A broken, chipped, or cracked tooth is not just a cosmetic problem—it warrants a visit to your dentist right away. This is especially the case when the damage to the tooth is caused by trauma or when you feel pain and sensitivity. At Battery Hill Dental, your local Currimundi dentist, we can fix your broken tooth so you can smile again. How does a tooth get broken? While your teeth feels tough, it’s not completely invincible. Traumatic blows to the mouth, or even simply chewing on hard food, can cause one or more teeth to get broken, cracked or chipped. Craze lines or minor cracks affect the enamel and are usually shallow and painless. Still, they need dental attention to avoid the cracks from getting bigger or deeper. Cracks are fractures that affect not just the enamel but to the whole tooth and maybe even the nerve. This happens when the pointed chewing surfaces of your teeth, called cusps, get chipped or broken. This can be a serious fracture that can break your tooth visibly. The break may expose the nerve and cause significant pain and bleeding. Caused by untreated cracked tooth, your teeth can split vertically and break into two or more separate parts. This can be very painful as it also affects your tooth’s pulp. At Battery Hill Dental, we know just what you and your broken tooth needs. We’ll make sure you’re relaxed and comfortable as we do the work of repairing your broken tooth. Check out our prices for broken tooth solutions. For minor breaks, tooth colored fillings provide an adequate fix to smoother out uneven surfaces and reinforce teeth so we can prevent further damage. We can place a dental crown to cover more extensive damage as well as to strengthen your tooth, such as when a big chunk of your tooth breaks but the root is still healthy. 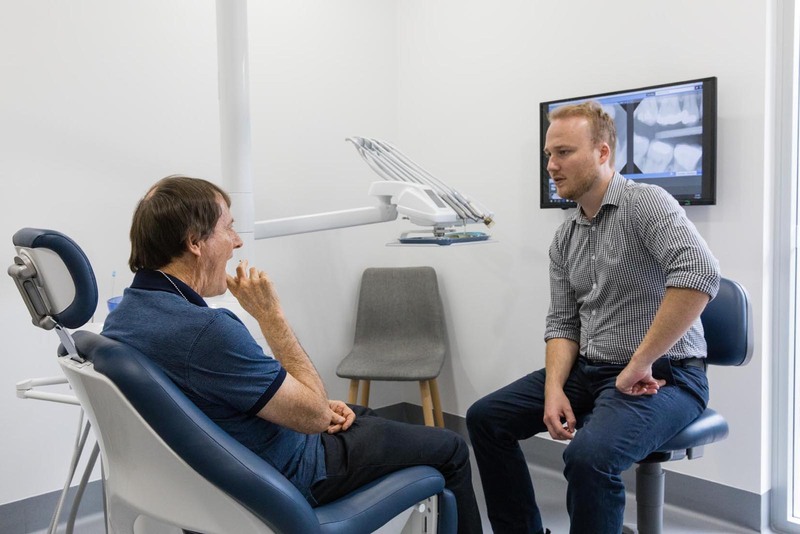 For more extensive damage on your tooth, root canal or dental surgery may be necessary, especially when the damage lies close to the bone or the breakage have caused fragments to attach on the gum tissue. …or your pocket. At Battery Hill Dental, we offer top-notch yet affordable cosmetic and restorative dental services to help you fix your broken tooth so you can smile with comfort and confidence.